Squeezing every ounce of value out of each event you sponsor is no small feat. You want to ensure every dollar is returned multiple times over. In our previous article, we covered two out of a total of four strategies that will help to make the events you sponsor a success. The first of the four Savvy Strategies we discussed was alignment and tips for making sure your goal, targeted audience, and the event format are aligned. The second Savvy Strategy is all about asking the right questions. The better you are at asking great questions of the event organizer, the better your results. Today we turn to the other two Savvy Strategies. Savvy Strategy #3: Know Your Metrics. If you had to pick just one metric that is the most important to your organization in building the business case for your event spend, what would it be? Would it be cost per lead (CPL), return on relationship (ROR), number of marketing qualified leads (MQLs), number of sales qualified leads (SQLs), number of named accounts, number of decision maker contacts, or something else? When we asked this question of over 100 marketing executives recently, the metric of sales qualified leads (SQLs) ranked the highest, followed closely by the number of decision-maker contacts. 1) If you are focused on enterprise or named accounts, you might look at measuring the effectiveness of an event based on the engagement with the named accounts that you engage with on-site. Then you can drill down further. How many of the people you engaged with onsite were net-new contacts for your company? How many on-site meetings did you have? Were the new contacts higher-level contacts than you’ve met before? How many follow-on meetings did you get as a result of your interactions? Overall, you’re mapping out who’s going to be there relative to your key accounts, and how your activity at the event advances your relationship with those accounts, whether directly or indirectly. 2) If you are thinking ahead about the business case of your event participation, you might focus on metrics that relate to pipeline and wins. Of course, that backs up to specific on-site event interactions. For example, how many meetings did you have? What was the quality of the conversations? What is the post-event follow-up strategy? These interactions roll up to an overall Return on Relationship-type metric. Tracking metrics that show you are engaging in the right conversations with the right people at the right time translates into a high return on investment. 3) If your team is most focused on engagement as a metric, you will likely spend a good deal of time pre-event sizing up the audience and planning your on-site approach. You might send different people from your team based on who you know will be in attendance in order to make the best-matching connection. With engagement as your metric, you’re also paying close attention to the post-event interactions. You want to see that the conversations are continuing after the event, and ideally, that the deal opportunities are further down the pipeline than they would have been without the real-time, real-life engagement that an event affords. 4) If your metric is all about sales-qualified meetings, consider that fewer one-to-one quality meetings–even those taking place on-site– can amount to a much higher return than a stack of business cards with no relationship established. To wrap up our list of savvy strategies that help to drive event sponsorship return, the last one is all about getting buy-in from your leadership team to attend the events you believe will deliver the greatest results. The reason you may want some savvy strategies for this is that sometimes the best events are not the easiest to secure. There may be a sizeable investment for some of your choice events. Here are a few ways to ensure that the events at the top of your list get the green light. 1) Think of your internal customer as sales, not only the executive leadership. You may want to spend some time preparing for the conversation with leadership and sales to prove that it’s the right event from a topic and audience perspective. 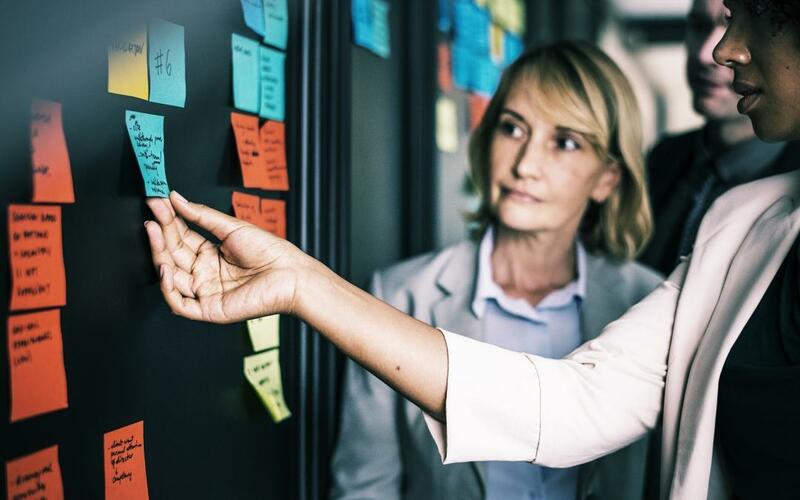 To strategize effectively with sales and your leadership, find out who is on the attendee list and put together a recommended team from your company that would be the best fit, based on titles, areas of expertise and time constraints. If you have a business case for utilizing different team members for different events, your leadership team may be more likely to get on board. 2) Consider the timing and topic of the event relative to your company’s fiscal calendar. For example, events that drive leads for programs or services with shorter sales cycles are great for end year revenue. Other events which drive leads for solutions that have a longer sales cycle may be most beneficial earlier in the year. When you can project when you might actually see a return on investment from a specific event, buy-in can be easier to get. 3) Don’t forget to look at who is speaking and sponsoring as a way to make the business case for your investment. This is a great strategy if you are focused on enterprise or named accounts. If the speakers at the event you are sponsoring happen to be your customers, you can gather insight on where your customer is trying to take their business, how they are thinking and what their key initiatives are. Similarly, your customers may be sponsoring an event that you want to sponsor as well. Doing so can foster even deeper connections when you are focused on relationship building with key accounts. 4) If you are proposing an event that you have never been to before, you will need to do your homework to build the business case. You can start with things like how reputable is the event, how long has the event been going on, and even look at the sponsors. If a competitor is attending, that can be a key indicator that it’s the right event. Certainly, that can be a double-edged sword too because you might want to go to an event where there aren’t competitors. But for a new event, this can confirm that it’s the right topic and audience. So will you get buy-in for your event investment? We’ve talked about metrics, utilization of resources, looking at titles and topics, really making sure the content and the timing of your participation is correct for faster deal closure, looking at who’s speaking, who’s sponsoring, partners that are there, the reputation of the event and more. At the end of the day, it comes down to how you define engagement and if the event is set up to meet that expectation. Generally, if you can show that the event has the right audience and that you’ll be able to have meaningful conversations because the event is structured to make sure you connect with the right people, you have a very good chance of success. So that wraps up our Savvy Secrets to drive event sponsorship return. We’d love to know which of these secrets you already use, and which one you’re going to apply to your next event business case. In the meantime, be sure to check out our upcoming event, Marketing Impact 2020: A Frost & Sullivan Executive MindXchange, happening in July 2019 in California. We’d love to see you there!